Defects of skeletal system may be due to changes in the bones and joints causing many problems. Effect: bones become thinner, weaker and less flexible with aging. Causes: this occurs at the start of old age as the required calcium level starts decreasing at the age of 35 years. Osteoporosis: it is very serious in some people and results in a condition known as osteoporosis or softening of bones , which is most common in elderly women affecting in the fracture of bone. Symptoms: hips, wrists and vertebrae tend to be affected worst of all. Even a minor fall can result in the fracture of bone. Compression in the bones and interverbal discs. Collapse of vertebrate causing bending of the spine. A balanced diet rich in calcium and regular exercise helps to keep bones strong. The load bearing such as knees and hips particularly show changes sometimes fingers joints become stiff and painful. 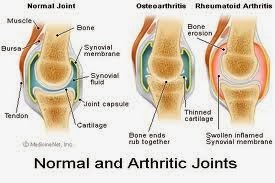 Osteoarthritis: it is one of the most common joint disorders. The smooth tough cartilage, which covers the end of bones at the joints, becomes weaker an less extent. It gradually breaks down. In extreme cases, the ends of the bones may become exposed. They start to grate against each other. This result in swelling and deformation of joints. It is common in older people than in young people .It is an auto immune disease in which body's immune system attacks its own tissues. Affected joints become hot and swollen during attacks. In some cases membranes of the joints become thick. The joints swell and become stiff causing pain. Some ti9mes excessive use of protein may result in the deposition of uric acid in joints causing swelling and pain. 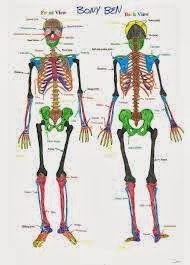 Causes: this is the dispacemet of one or more bones at joints , causes this is the displacement of one or more bones at a joint , caused by accident , wrong posture of the body and sometimes by muscular action. Symptoms: a severe sicking pain, abnormal appearance of joints along with selling shows the dislocation of joints. The joint cannot work in such condition.